In consideration of your acceptance of my entry, I, undersigned, intending to legally bind hereby, for myself, my heirs, administrators and assigns, waive and release any and all rights and claims for liability and damages I may have against Brazen Racing, The Concord Police Association, The City of Concord, or any of the preceding's directors, employees, agents, contractors, volunteers (collectively, the "Released Parties") for any and all injuries or death suffered by me in or arising from participation in your race or its related activities, whether or not caused by the sole negligence, fault or any other act of the Released Parties. I acknowledge that the race courses are on closed roads or trails that shared with other park visitors including runners, hikers, horses and bicycles. I acknowledge that it is my responsibility to understand the risks and determine whether I am fit to safely complete this race and the precautions I should take. I attest and certify that I am physically fit and sufficiently trained for the completion of the race. My participation is voluntary and is done at my own risk. I understand and agree that medical or other services rendered to me by or at the instance of any of the above parties are not an admission of liability to provide or continue to provide any such services and are not a waiver by any said parties of any right hereunder. I hereby consent to receive medical treatment which may be deemed advisable in the event of an accident, injury and/or illness to me during this event. I UNDERSTAND THAT PARTICIPATION INCLUDES THE RISK OF SERIOUS INJURY AND DEATH AND THAT BRAZEN RACING MAY HIRE PERSONNEL FOR MINOR FIRST AID, BUT WILL NOT BE PROVIDING AMBULANCES, DOCTORS OR OTHERWISE PROVIDING FOR ANY GUARANTEE OF EMERGENCY SERVICES FOR A LIFE-¬‐THREATENING EPISODE. I grant my permission to allow photo and/or other video images of myself to be used for promotional or informational purposes. I understand that in the case of an Act of God or in the case of force majeure, the event may be cancelled. I also understand that my entry fee is non-¬‐refundable. I HAVE CAREFULLY READ THIS ACCIDENT WAIVER AND RELEASE FROM LIABILITY AND FULLY UNDERSTAND AND APPRECIATE ITS CONTENTS. 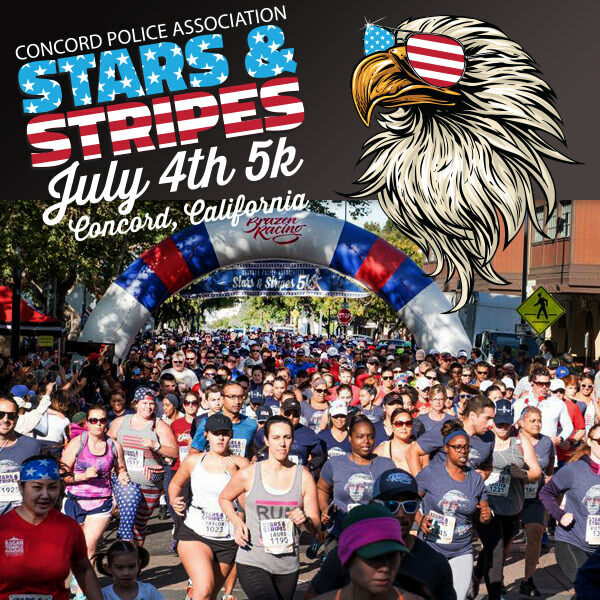 I AM AWARE THAT THIS IS A WAIVER OF RIGHTS AND A RELEASE OF LIABILITY AND IS A CONTRACT BETWEEN MYSELF AND THE EVENT SPONSOR, ORGANIZER AND THE CITY OF CONCORD AND I SIGN IT OF MY OWN FREE WILL.